Little Big Maths is a teaching method that makes Maths progress in the Early Years of the Foundation Phase easy and fun for children and for teachers. It follows the same basic principles that have made Big Maths such a huge success across the UK and internationally. Little Big Maths ensures there is a press on progression within the context of the child’s play, self-discovery and personal learning journey. 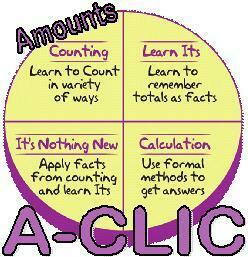 This framework is known as A-CLIC (Amounts – Counting, Learn Its, It’s Nothing New and Calculation) and is characterised by accurate steps of progression (known as Progress Drives) that make new learning easy and obvious to children. It provides a seamless transition into the Big Maths programme. Children are provided with a fun and lively experience as they learn with jingles, songs, games and the famous Big Maths Characters. Counting songs and rhymes that count forward, until children can read and write numerals to 20. Small steps ensuring that new learning makes sense. Uses developing mathematical ideas and methods to solve practical problems. 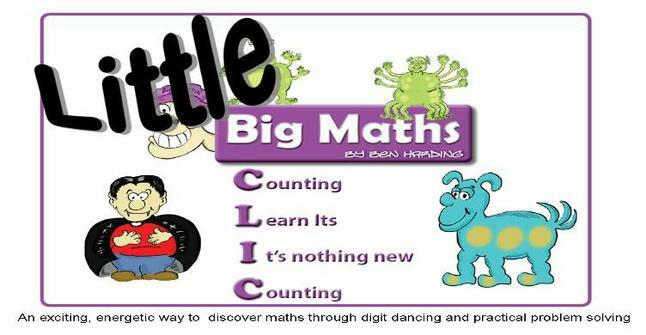 Click HERE for further information about Little BIG Maths.